FINDING A JOB ISN’T EASY, BUT leaving one isn’t either. 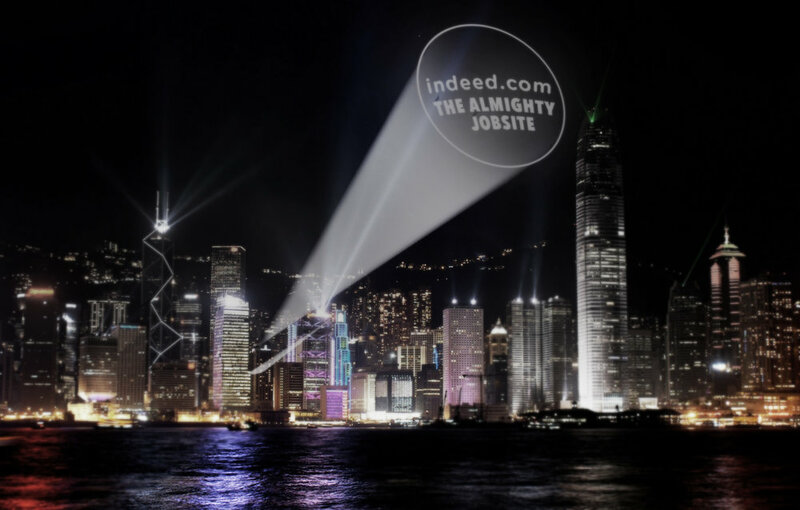 that’s where indeed.com CAN HELP. THERE’S ALWAYS HOPE FOR ANOTHER JOB. OUR TRAVELING CONFESSIONAL PARKs near OFFICE BUILDINGS ACROSS THE U.S. 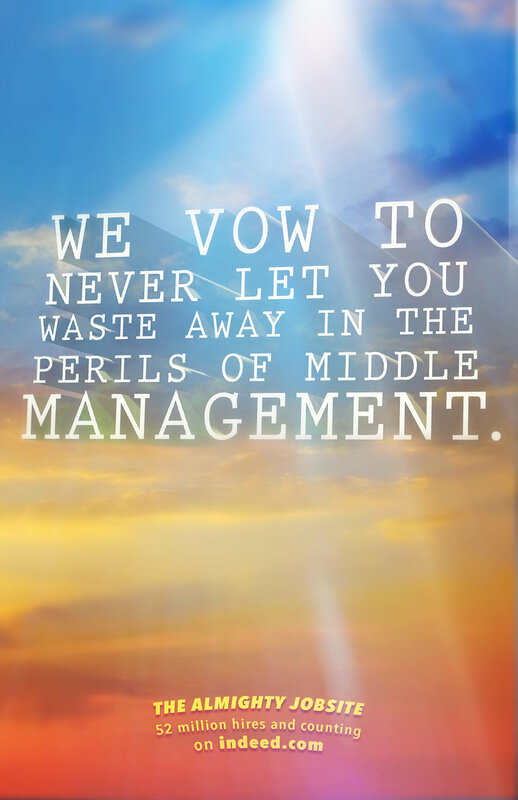 RELIEVE your current job woes WITH ONE OF OUR TRUSTED CAREER COUNSELORS. YOUR FIRST CONFESSION IS ON US. Thank God for escaping your living hell! 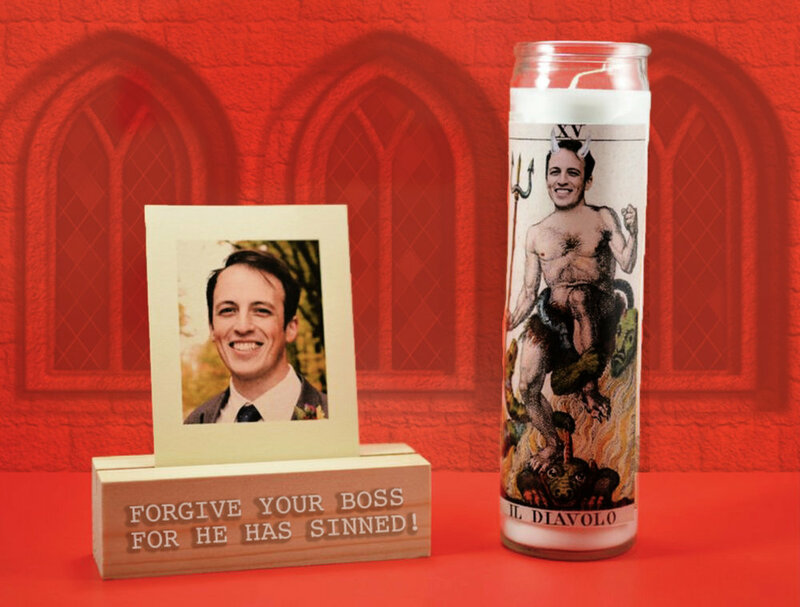 Celebrate your old job by burning a Saint Candle for your boss. They'll need your prayers and we'll need their photo to make this ritual happen. 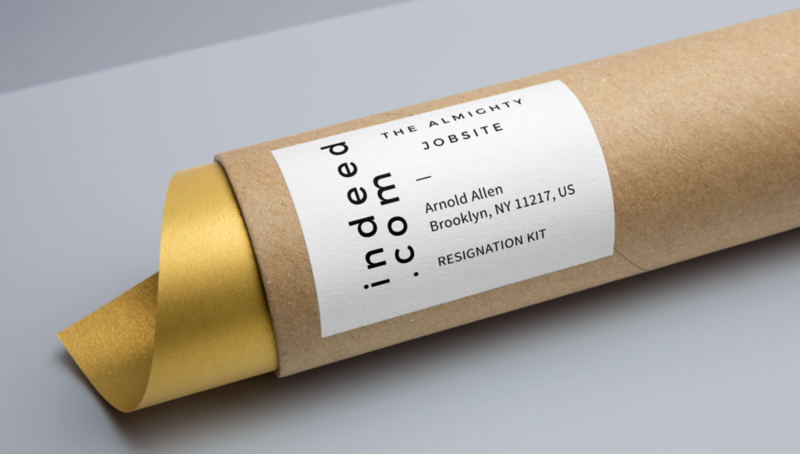 fear not, for The Almighty Jobsite holds your hand when you are ready to resign.